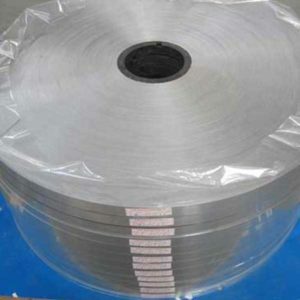 haomei aluminum is professional aluminu foil strip for transformers winding, our grades are : 1060,1070, 1350, Temper O, said soft state . Thickness between 0.2-3.0mm. haomei aluminum strip, aluminum foil for dry- type transformers, using high purity aluminum ingot , with high conductivity , soft features , smooth surface , no glitches, is an ideal material for the production of dry-type transformers ,is the key raw materials for transformer winding manufacturing, our aluminum foil strip have good performance on foil conductivity, the burr curling, scoliosis, surface quality and many other technical indicators. * Relatively mature technology with respect to the price compared to other high-grade aluminum alloy has a huge advantage. * There are good elongation and tensile strength, fully able to meet the requirements of conventional processing (stamping, drawing) high formability. * Of industrial aluminum with high plasticity, corrosion resistance, electrical conductivity and thermal conductivity. * May welding, soldering and hydrogen atoms in contact welding. * Easy to bear all kind of pressure processing and extension, bending. Read through below characteristics and conditions, you may see how professional we are, to supply aluminum foil in coils to be used in welding of step Voltage Regulators. This entry was posted in aluminium strip and tagged aluminu foil strip, aluminum foil, aluminum strip. Bookmark the permalink.